Spend more time relaxing with peace of mind knowing that your spa water is clean, fresh and ready for you to enjoy. Hot Spring offers three easy-to-use water care systems to choose from, and a complete line of customized water care products to meet all your ownership needs. Available on all Highlife® and Limelight® Collection spas, this easy-to-use salt water system eliminates the worry of keeping spa water clean, clear and sanitized for a full year. With just a little salt in your spa water, the system generates chlorine automatically so you’ll spend less time measuring and adding chemicals. This unique system makes spa ownership easier than ever by removing the guesswork and hassle of water care maintenance. Keep your water clean and clear, while reducing the need for chlorine. This system combines the cleaning power of the FreshWater® III high-output ozone generator with MPS non-chlorine oxidizer and silver ions for protection against contaminants. Available on Hot Spot spas, this system automatically dispenses SmartChlor® chlorine and minerals for carefree water care. It self-regulates based on the water’s sanitization needs, maintaining a consistent level of protection. @ease creates softer feeling water that’s virtually free of chemical odors since the system works with up to 75% less chlorine. 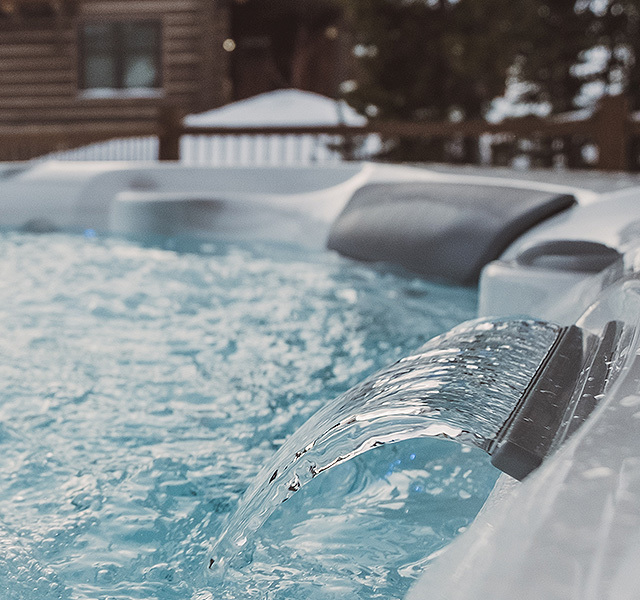 Your Hot Spring dealer can provide you with genuine Hot Spring maintenance and replacement products that will help you get the most out of your spa – including replacement filters and innovations like the Vanishing Act and CleanScreen pre-filters.